Do you have a cat who won't use the litter box? That kitty's trying to tell you something! Find out what with Cat Scene Investigator: Solve Your Cat's Litter Box Mystery. The book uses as CSI approach to investigate kitty "crime scenes" with a detective's eye to discover your cat's motivation and remedy. Its delightful humor and solid research counter several myths about inappropriate elimination by felines. Award-winning cat behavior author Dusty Rainbolt delivers another winner here: this book has captured the 2016 Cat Writers' Association Muse Medallion for Behavior and Training Book! About the Author: Dusty Rainbolt, ACCBC, is an associate certified cat behavior consultant and member of the International Association of Animal Behavior Consultants. Her other books include Cat Wrangling Made Easy, Kittens for Dummies, and eight sci-fi fiction/fantasy novels. A past president of the Cat Writers' Association, Dusty has also served as editor-in-chief for AdoptAShelter.com. Cat behavior book was released October 10, 2016 by Stupid Gravity Press, LLC, and has 216 pages. 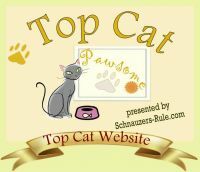 Click here to shop all our Cat Training & Behavior Books!